As the “senior wave” hits China, the traditional pension mode is also subtly changing. Two old people chat in the garden of the Taikang Yanyuan retirement community. 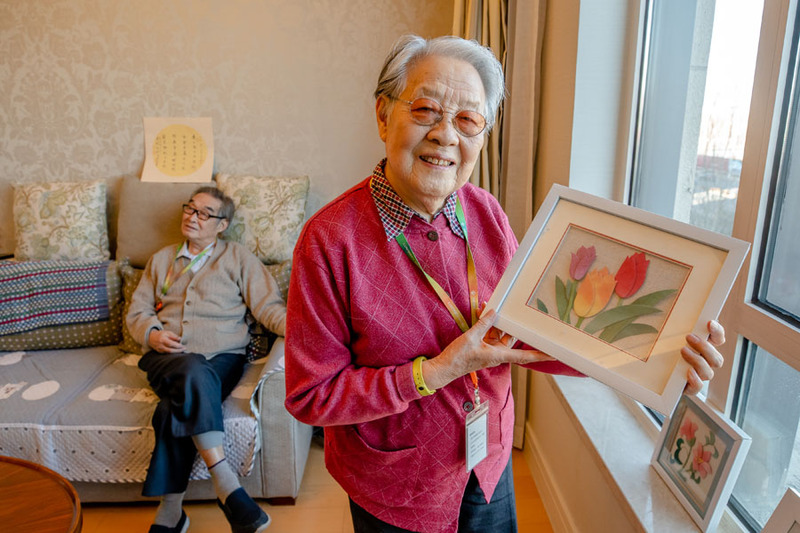 Over 80 percent of the elderly in this community have chosen to stay for the Spring Festival in 2019. Data from China’s National Bureau of Statistics shows that in 2017, a total of 241 million people living in China were aged 60 and older, accounting for 17.3 percent of the country’s total population. As the world’s first country with over 100 million senior citizens, China is facing a severe aging problem. As the “senior wave” hits China, the traditional pension mode is also subtly changing. 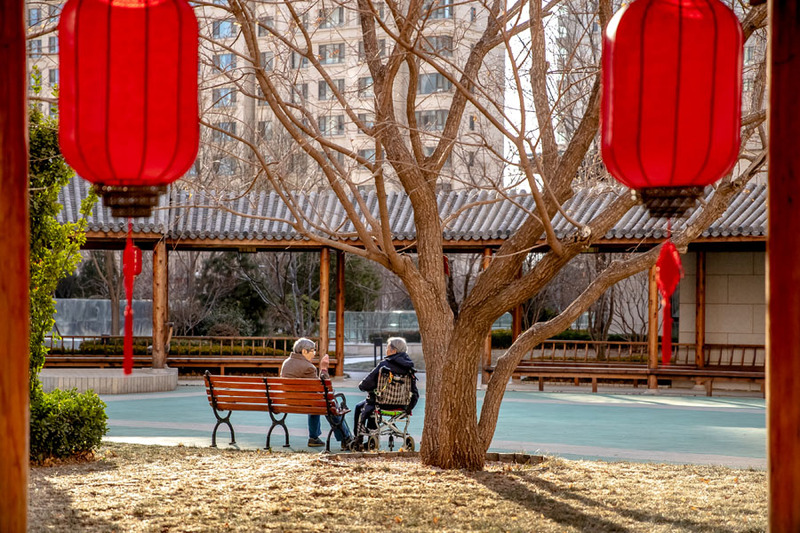 Ahead of the Spring Festival, Taikang Yanyuan, a high-end retirement community in Changping District of Beijing, is engulfed by a festive atmosphere. This year, more elderly people are staying here to observe the festival. 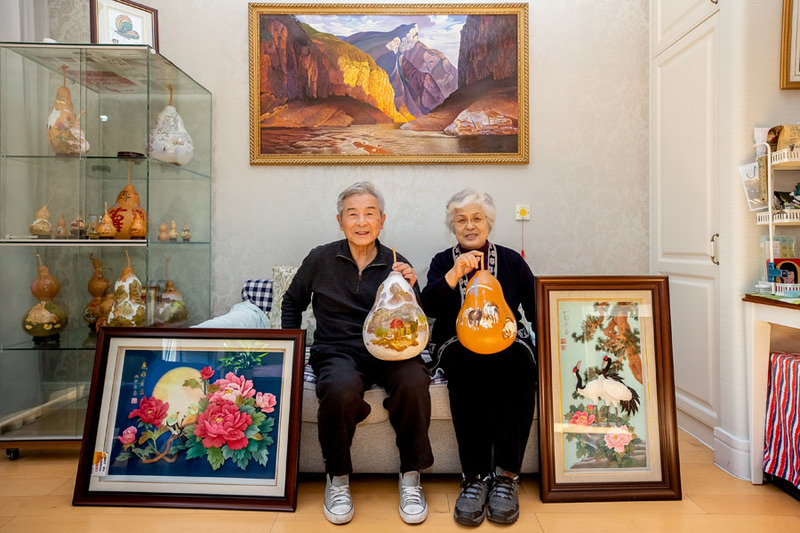 Chen Yiyuan, who is 84 years old, and his 85-year-old wife Sun Liufang were among the first residents of the retirement community. With the support of their children, the couple moved here in July 2015. A senior university has been organized in the community. 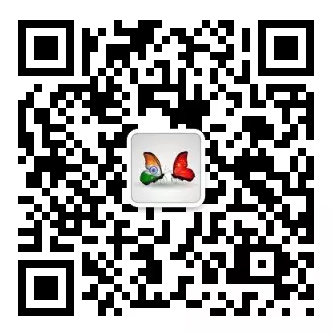 Courses vary from Sudoku, cloth art, painting, music and calligraphy to teaching residents to use WeChat, mobile banking and online shopping. Teachers are all residents in the retirement community. Every day, the couple checks the schedule for classes they are interested in. Chen himself also became a teacher to share his professional expertise by offering aerospace lessons to residents. Since Sun Liufang arrived at the retirement community, she has attended many classes for the elderly. The picture shows Sun holding her first work made in an embroidery class. 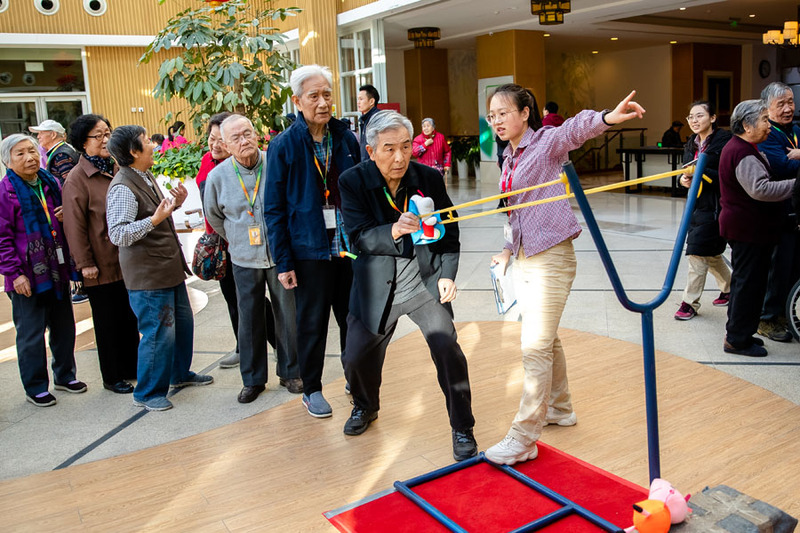 A variety of entertaining games are organized in the retirement community to celebrate the Spring Festival. The picture shows Chen Yiyuan shooting balloons. “The community is our new home, where we will spend the Spring Festival,” Meng stressed, adding that during the festival, they will enjoy the company of both their children and friends in the community. With the arrival of the Laba Festival (the 8th day of the 12th month in the Chinese lunar calendar), a festive atmosphere erupted as celebration activities were organized every day in the community, making it a place even livelier than their own homes. Meng Fanmin’s embroidery works and her husband Liu Baokai’s gourd pyrography works. The large oil painting on the wall behind them was also created by Liu. The couple are enthusiastic about art. Their home is decorated with their works. The retirement community has held exhibitions for them. 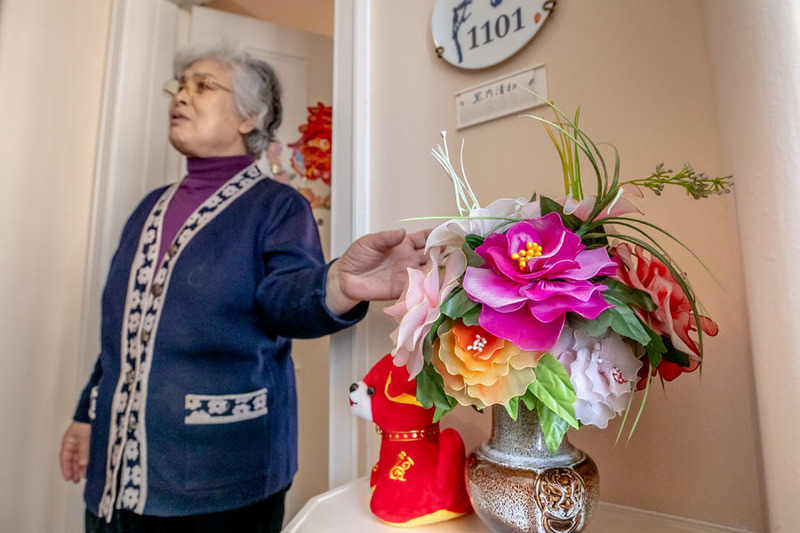 Silk flowers made by Meng Fanmin are placed prominently near the door. Zhang Jiaqing, now in his 90s, is as vigorous as ever. Within several days prior to the Spring Festival, he welcomed relatives, friends and students in waves. 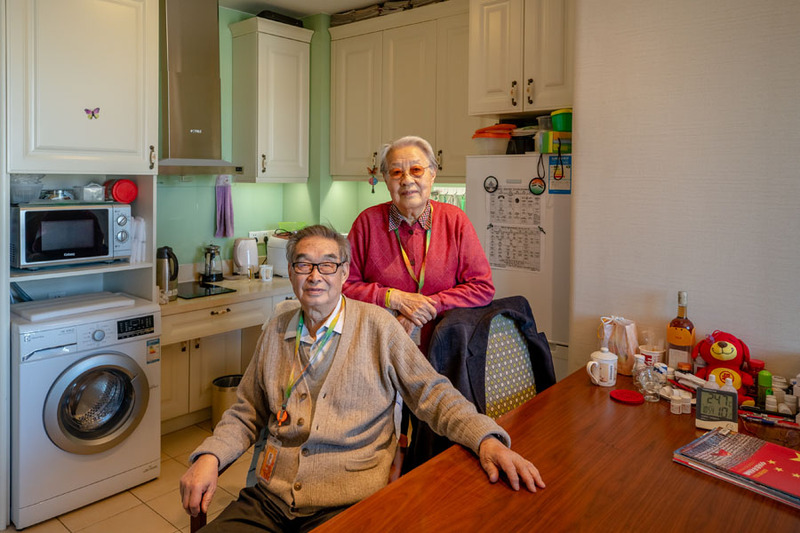 Despite the flow of visitors, his daily routine would not be broken: Twice a day, staff drives him in an electric cart nicknamed “little BMW” from the living quarters to the nursing area to see his wife Li Huan. Zhang and Li are typical Chinese empty nesters. Their son and daughter moved abroad. A few years ago, Li was diagnosed with Alzheimer’s disease. As her condition worsened, Zhang became unable to take care of her himself, so she moved into the medical center for treatment. One year and a half ago, after negotiating with their children, Zhang decided to move into the retirement community with his wife. “The Spring Festival is around the corner,” he proclaimed. “Another year passed in the blink of an eye. Staying alive is no longer enough—we want to live with dignity.” Zhang is satisfied with his wife’s current situation. 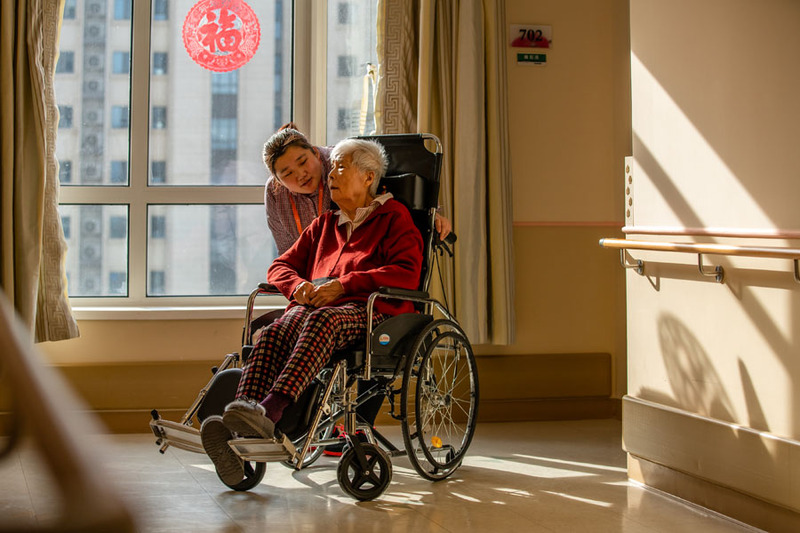 Senior care, in a simple sense, is “giving them time to live.” Today, the elderly seek a higher spiritual pursuit of “injecting life into time,” according to Zhang. 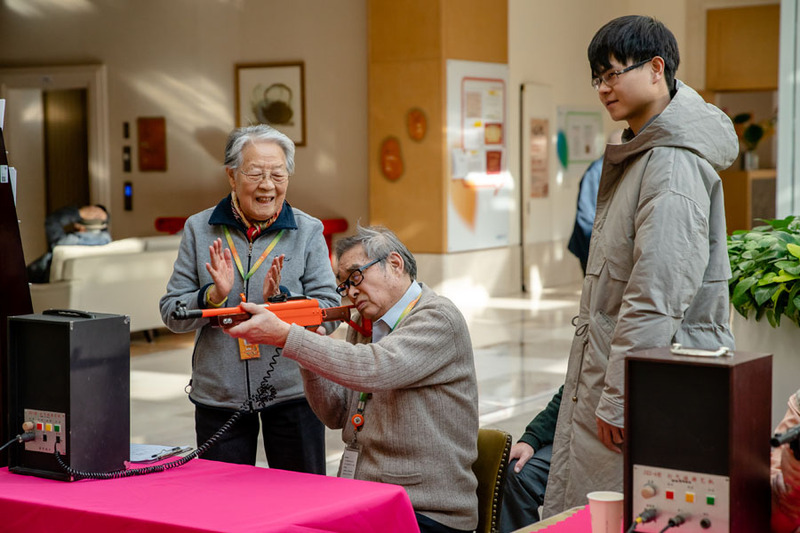 Liu Baokai plays “Angry Birds” as part of the recreational activities organized by the retirement community to celebrate the Spring Festival. Zhang Jiaqing and the daughter of his friend who came to visit him. 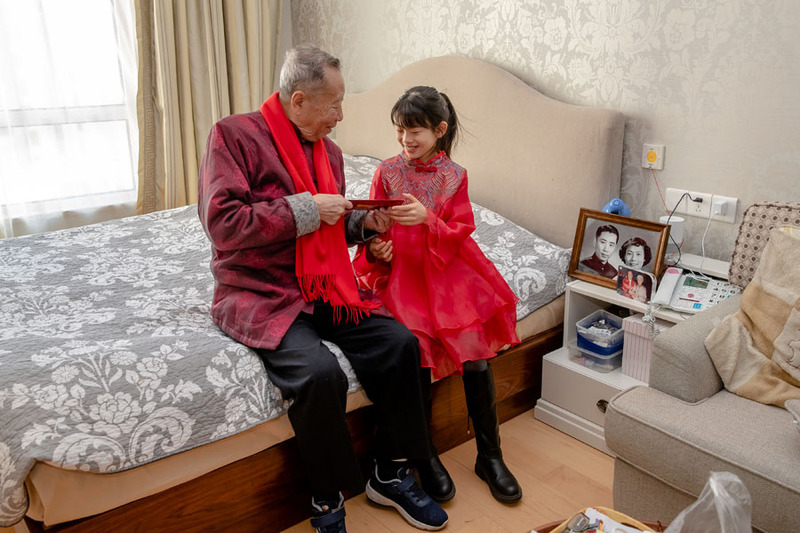 Zhang usually meets friends and relatives in his room in the retirement community during the Spring Festival. 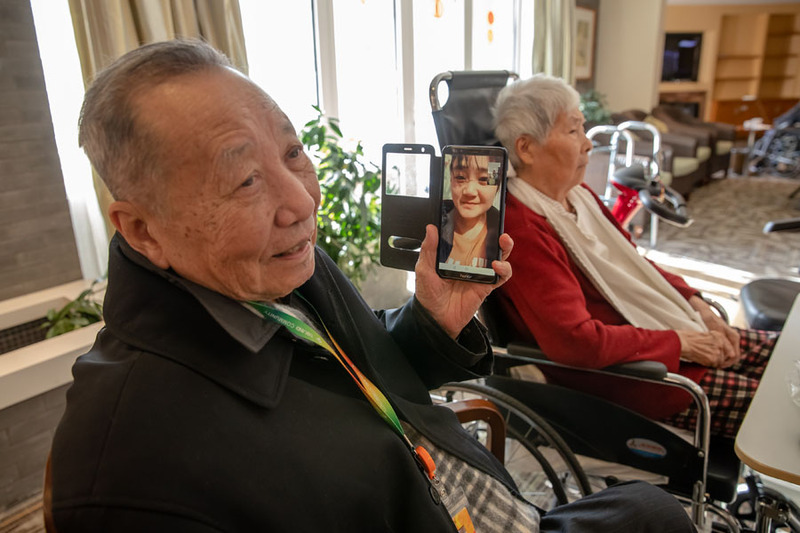 Jiang Fang, a nurse in the retirement community who returned home for the holiday, talks with Zhang Jiaqing on a video call. According to Zhang, the staff there treats him like family.